What’s on Your Floor? We can get it off! We have the equipment and knowledge to remove all types of floor coverings, coatings, and toppings. 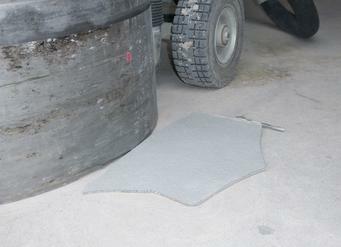 With our machines, we can quickly have your floor ready to install your new floor coverings. We use 1,100 pound diamond grinders to remove old paint, adhesive, heavy duty quartz, and epoxys. This is one of our 5,000 pound, propane powered, ride-on tear out machines. They can do in hours what it woulsd take a crew of men days to accomplish.